As we have seen, we need a new paradigm of leader development. We cannot keep building leaders the same way while merely trying to do it faster and on a larger scale. More of the same will not do! We need to transform the way leaders are built. We need a new paradigm. Now we will consider the final three paradigm shifts. Biblically, the primary unit of leader development is the local church or cluster of churches. It is not the disconnected academic institution. Multiplication. The inherent limitations of the institutional approach will be lifted, the church-based approach providing a model that can be multiplied virtually endlessly with every local church or cluster of churches providing a learning environment for their emerging leaders. If every local church would build only one or two new leaders, the quantity crisis would be over! Holistic development. The learning process becomes considerably more effective since the local church provides the spiritual, relational and practical context for the development of the whole person. The right people receive training. The emerging and existing leaders who need training the most are those who are already engaged in ministry and cannot leave their work for years at a time to go and study in a distant institution. In the traditional approach, we consistently train the wrong people. Flexibility. When it comes to leader development, “one size” does not fit all. Around the world, leaders from a vast variety of cultures, backgrounds, experiences, education levels, etc., need to be built. Our approaches must be flexible and customizable. In addition, in many countries, the environment is rapidly changing around the church, again requiring flexibility in our approaches to leader development. Self-support. The local church provides the financial support for the learning process, thus maintaining both responsibility for and control of the development of its own emerging leaders. To be truly self-governing, the community must be self-supporting. Security in restricted countries. In restricted countries, educational institutions are often not viable due to their size, visibility and the ease with which they can be closed down. Church-based learning communities, on the other hand, can be small, easily-hidden and pervasive. Ongoing, lifelong leader development. The training is not limited to a certain period of time, but continues throughout the emerging leaders’ lives. Leaders are built over lifetimes! Effective evaluation. Members of the local community who know the emerging leader and who work with him on a daily basis are the very best ones to help him both establish goals for his development and evaluate his growth toward those goals. 6. Church planting through leader development. Jesus’ vision was for hundreds of thousands of churches around the world in every people group. He did not, however, personally plant any! Instead, He built leaders and those leaders then turned the world upside down. We have done it the other way around, by multiplying evangelistic efforts and planting many churches and then trying to address the need for leaders. 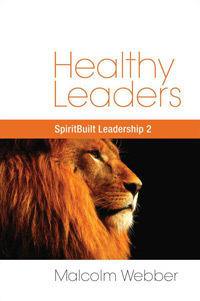 In the new paradigm, healthy leader development is raised to the same level of priority and focus as church planting. This is the only way we will plant and grow sustainable churches. 7. The centrality of the Person of Jesus Christ in Christian leadership. For many years, Christian leadership training consisted essentially of courses related to biblical knowledge – Old Testament Survey, New Testament Survey, Systematic Theology, Biblical Ethics, Church History, etc. Of course, this did not prepare the students very well for the practical demands of life and ministry. To meet this need, new and more practical approaches to leader development have grown in popularity, often consisting of business models of leadership or motivational, “success” anecdotes of basketball coaches, football stars and wealthy businessmen. In the new paradigm, union with Christ, the cross, suffering, holiness and dependency on the Holy Spirit are at the center of all our leader development. The Person of Jesus Christ is the Beginning and the End of all Christian leadership and leader development. Leaders build leaders – leaders taking personal responsibility for leader development, rather than only fulfilling ministry responsibilities themselves while delegating leader development to others. Churches build leaders – the primary unit of leader development is the local church or cluster of churches, and not a disconnected academic institution. This is how we can build Christian leaders who will, once again, turn the world upside down!